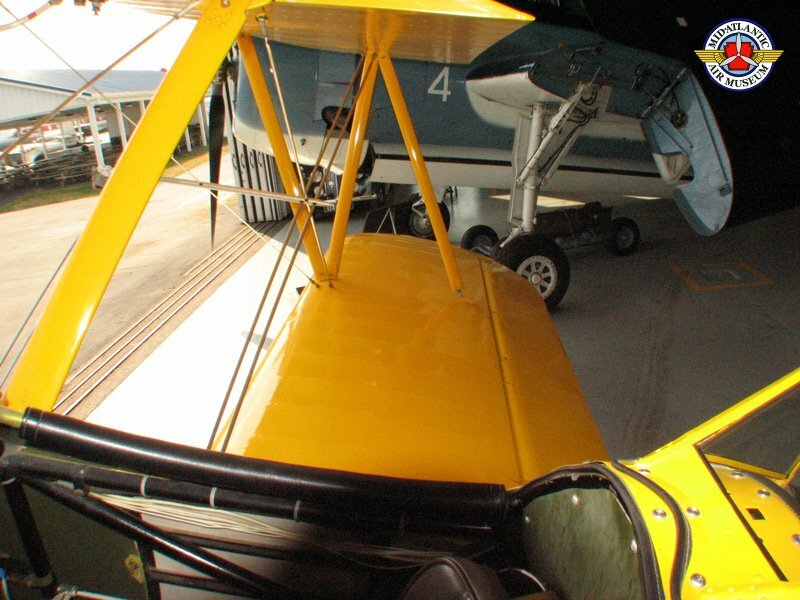 With its takeover of the Stearman Company in Wichita, Kansas in 1934, the Boeing Corporation also acquired the right to produce Stearman's aircraft designs. 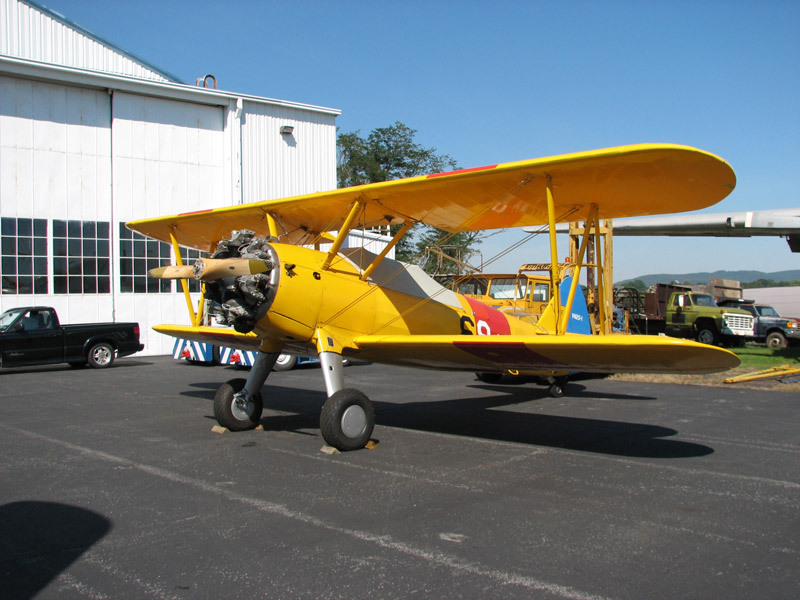 The one destined to become the most successful was a sturdy biplane trainer which had been designed by Harold Zipp and Jack Clark. 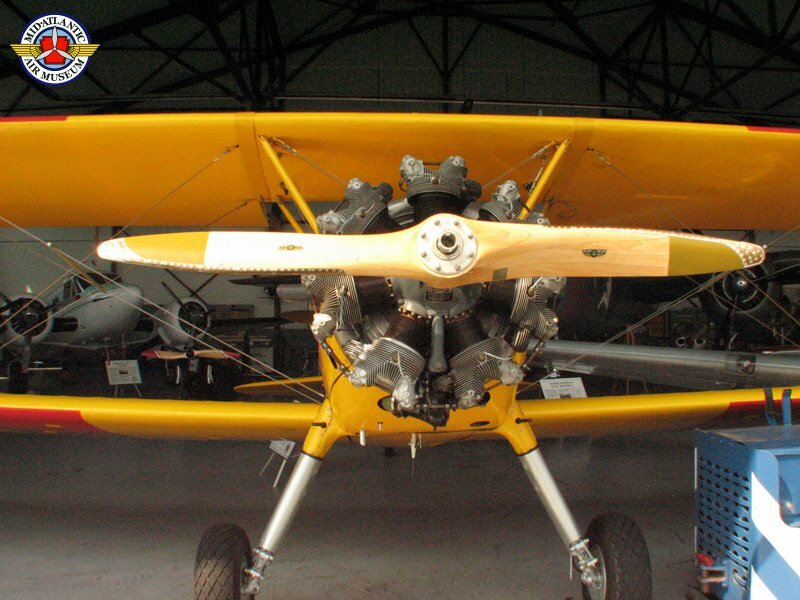 Beginning production as the Boeing Model 75, eventually 10,346 "Kaydets" were built between 1934 and February, 1945 - the largest production run of any biplane in history. 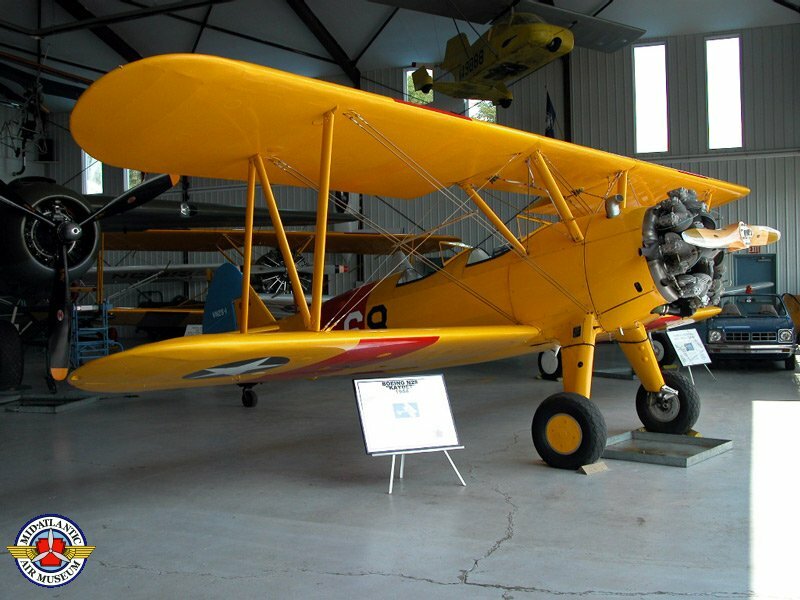 The Canadians first named the plane "Kaydet", and it was eventually officially adopted by all services and nations. 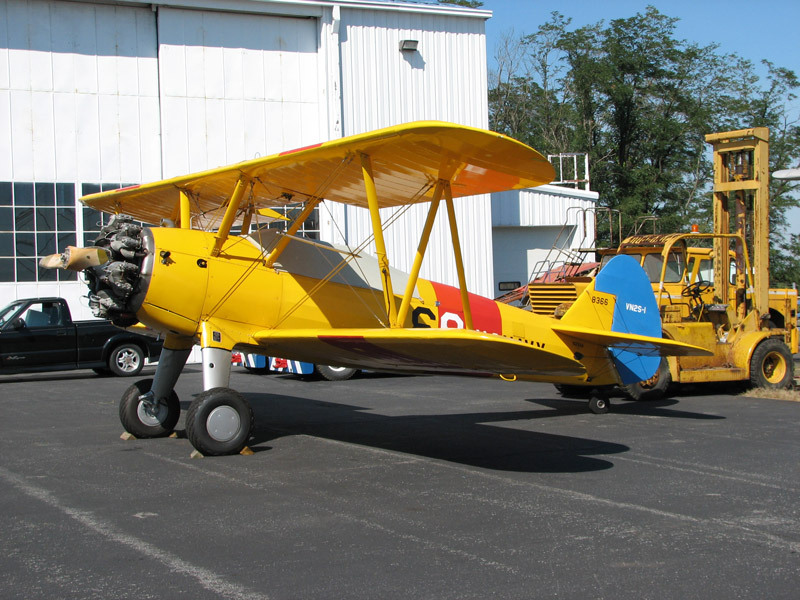 Never-the-less, the venerable aircraft is universally better known as the "Stearman", today. 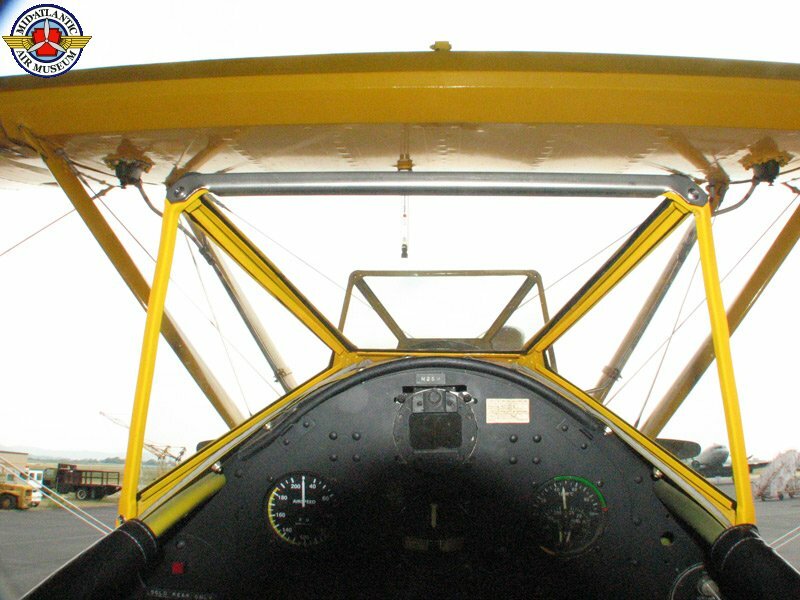 The "Kaydet" became the best known primary trainer of World War II. 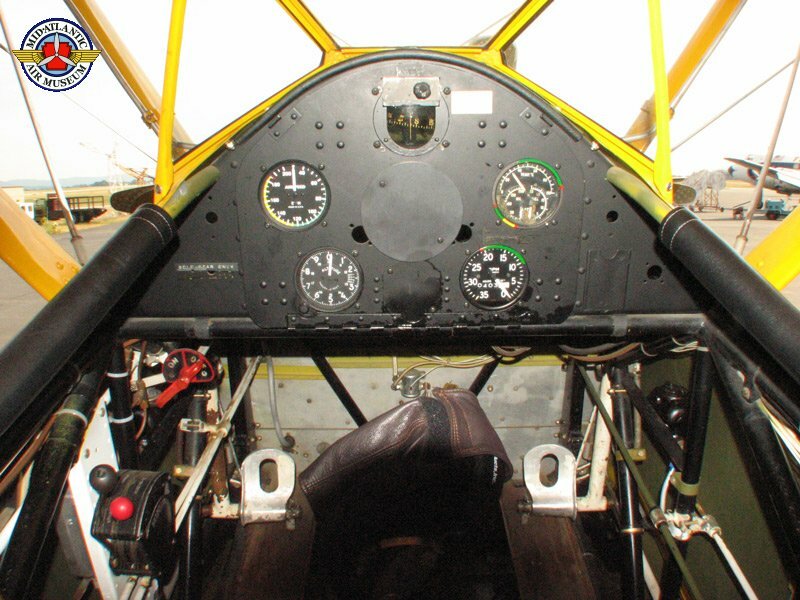 These were aircraft which were docile enough to help a pilot solo after only eight hours of flying time, yet were enough of a challenge to "separate the men from the boys". 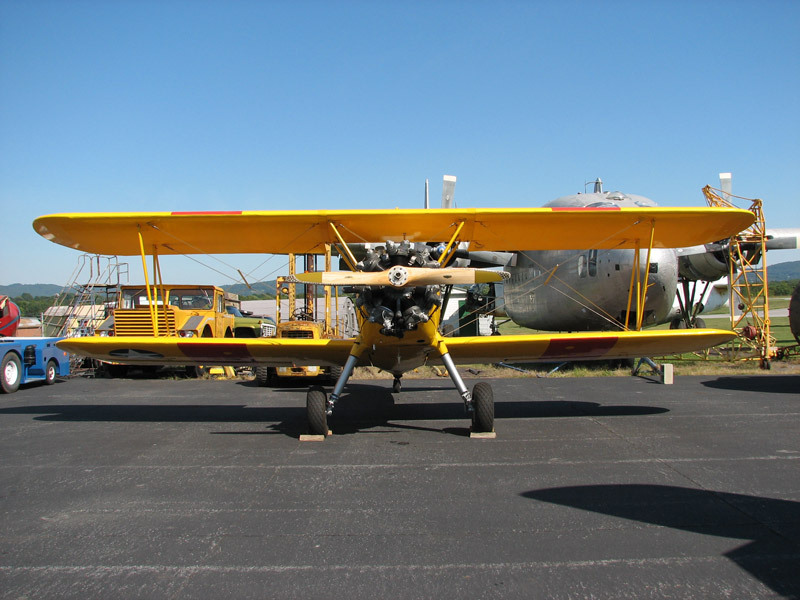 Its simple but rugged construction made it ideal as a trainer despite a design that was somewhat outdated by the onset of World War II. 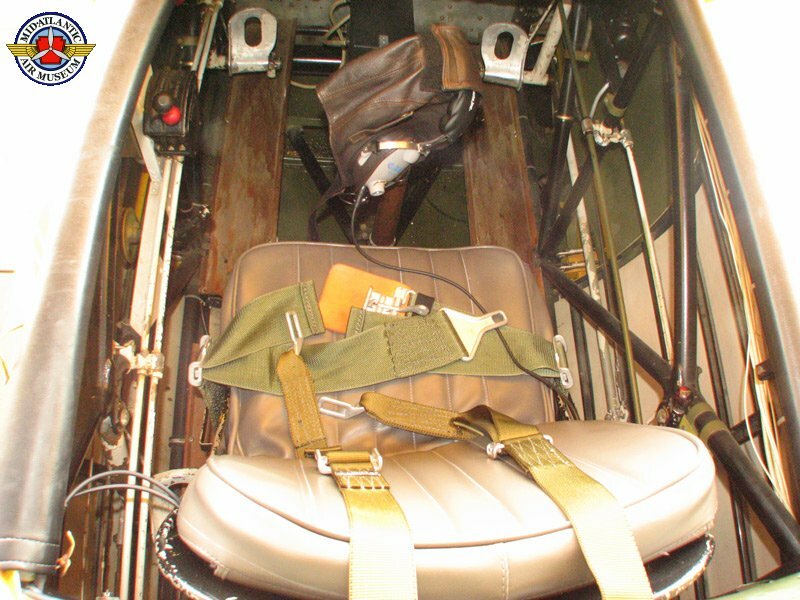 Although considered the most stable and maneuverable of the primary trainers, the "Kaydet's" narrow landing gear gave it a tendency to "ground loop", especially in the hands of a nervous recruit in windy conditions. 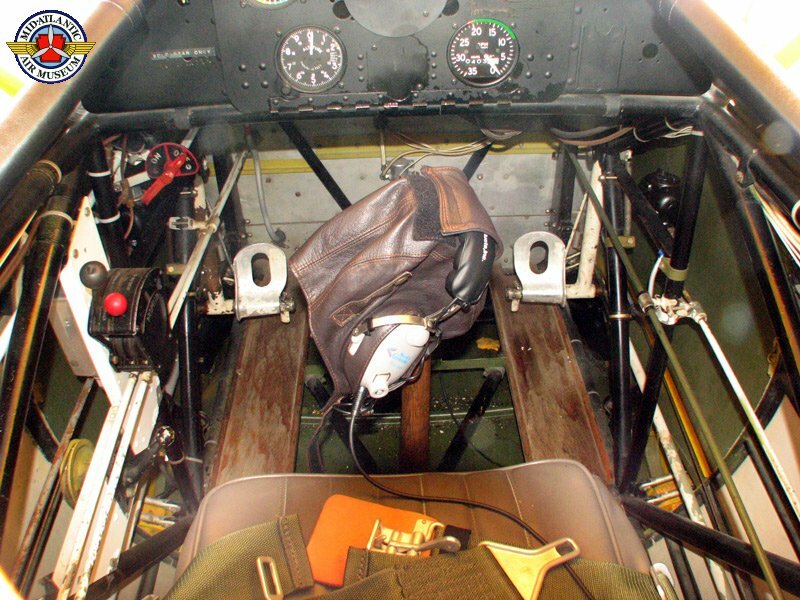 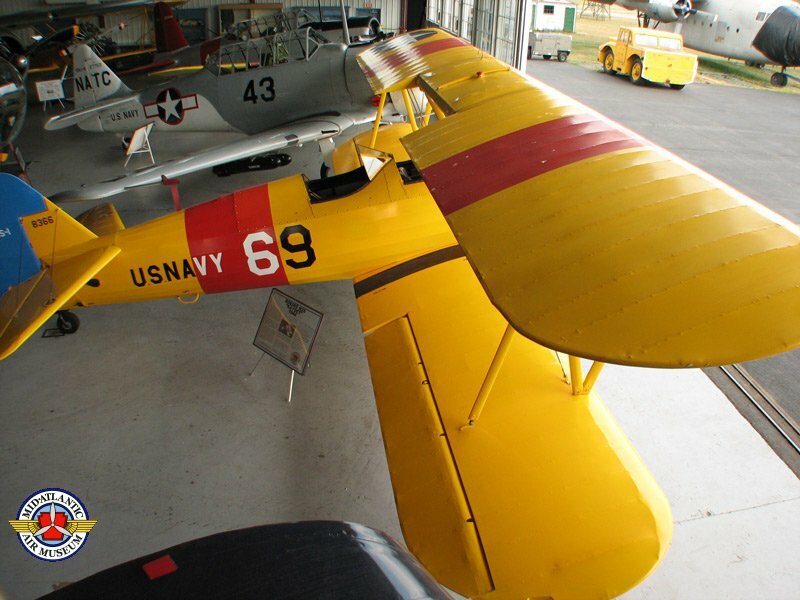 Altogether "Kaydets" provided the first flying time for more than 60,000 Americans during the Second World War. 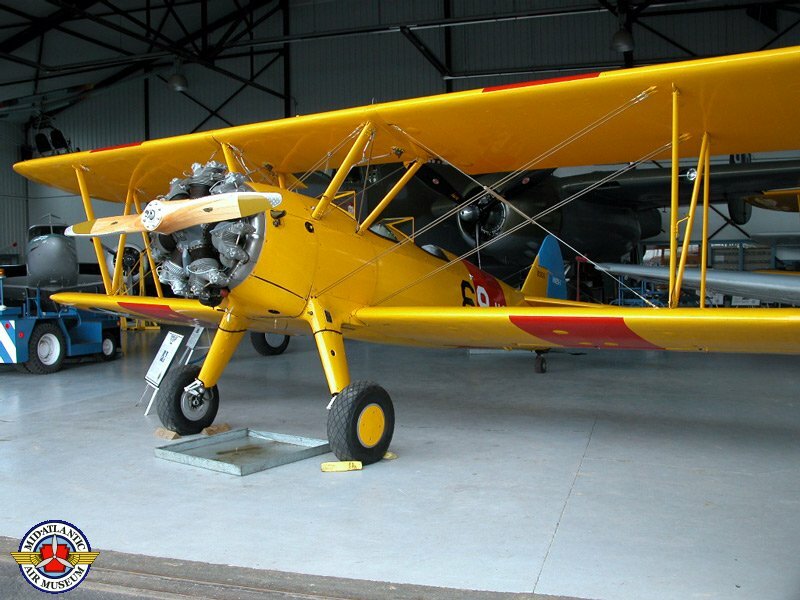 In addition to the "Kaydets" delivered to the US Army (designated PT-13, PT-17, or PT-18, depending on the installed engine) and US Navy (designated N2S), Boeing also sold the trainer to Argentina, Bolivia, Brazil, Canada, China, Colombia, Cuba, The Dominican Republic, Guatemala, Paraguay, Peru, The Philippines, and Venezuela for both civilian and military uses. 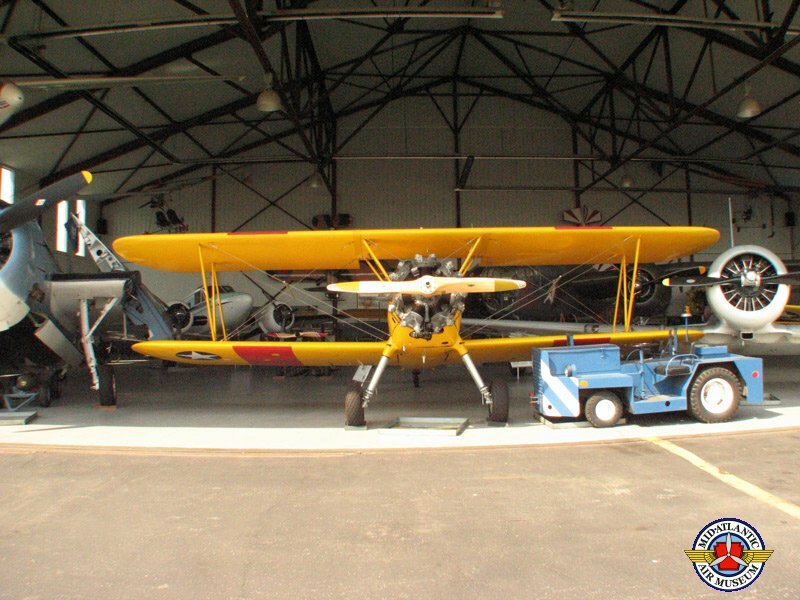 By the late 1940's, because of their slow, low-level flying capabilities, more than 4,000 of these aircraft were purchased as surplus and converted to crop dusters and sprayers. 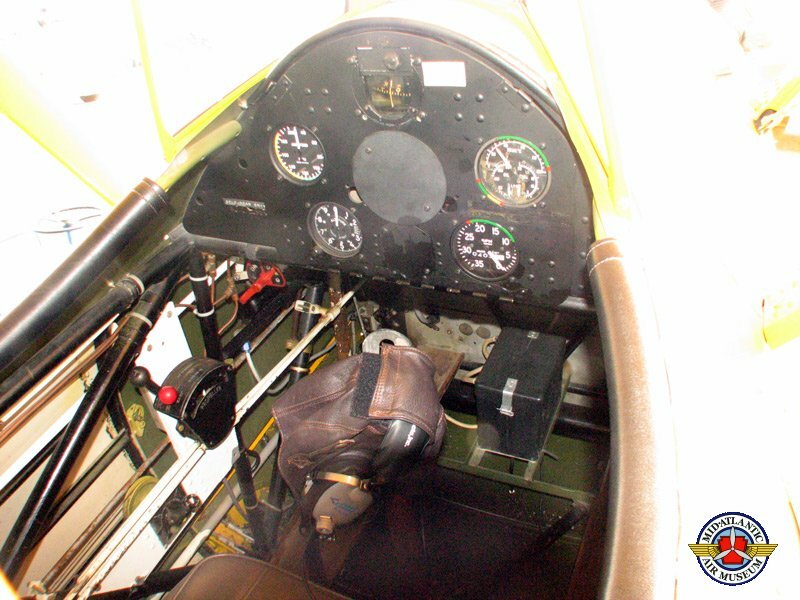 Many others were used to provide flight instruction to post-war civilian pilots. 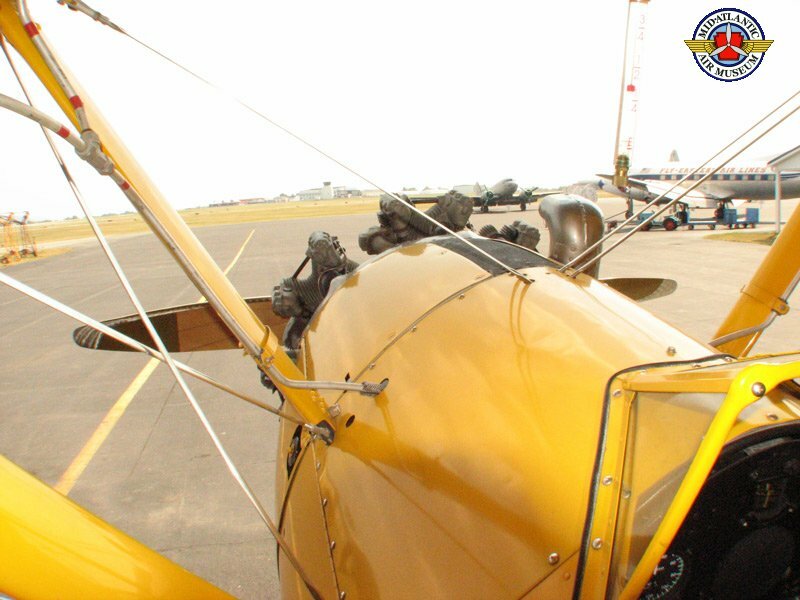 Today more than 1,000 are still airworthy, being flown at small airports and at airshows throughout the country and overseas. 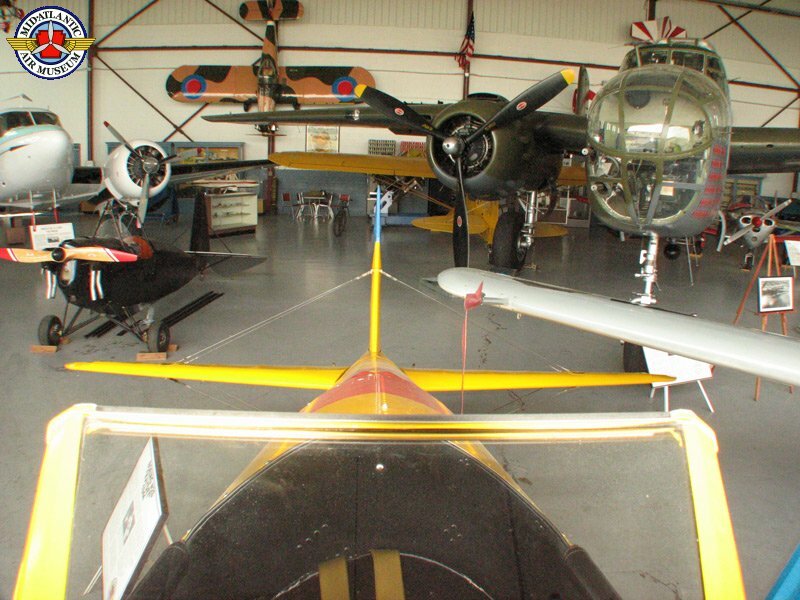 Hundreds more are on static display in museums around the world. 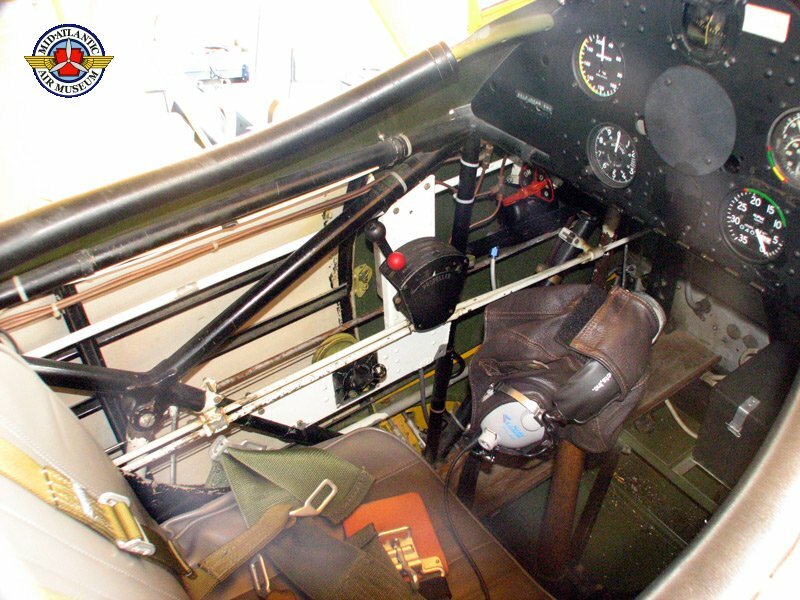 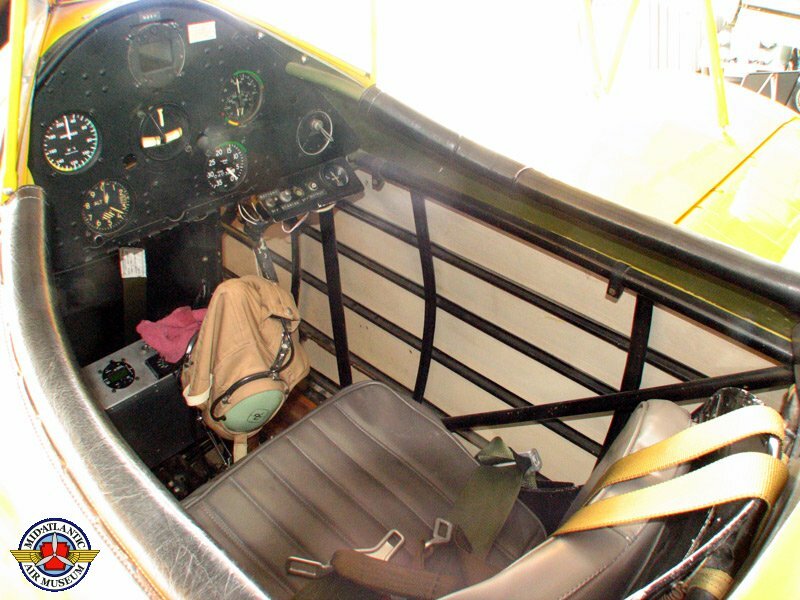 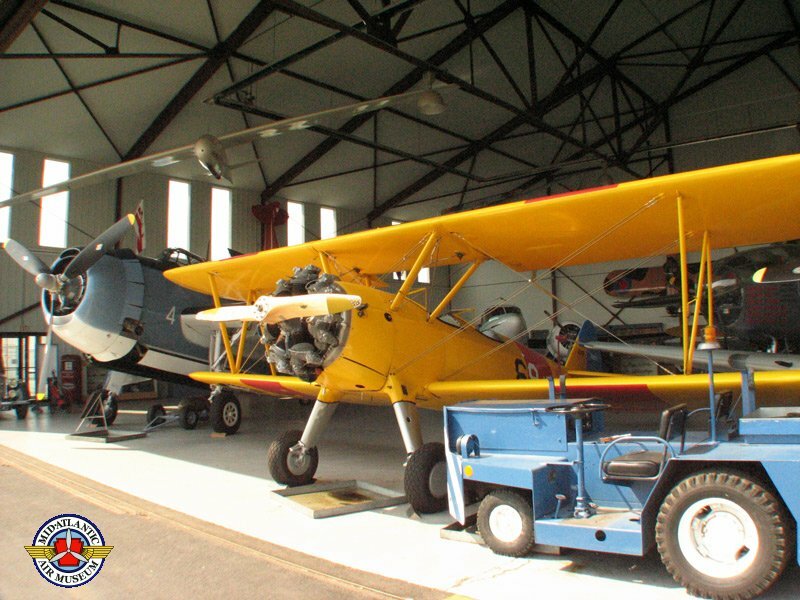 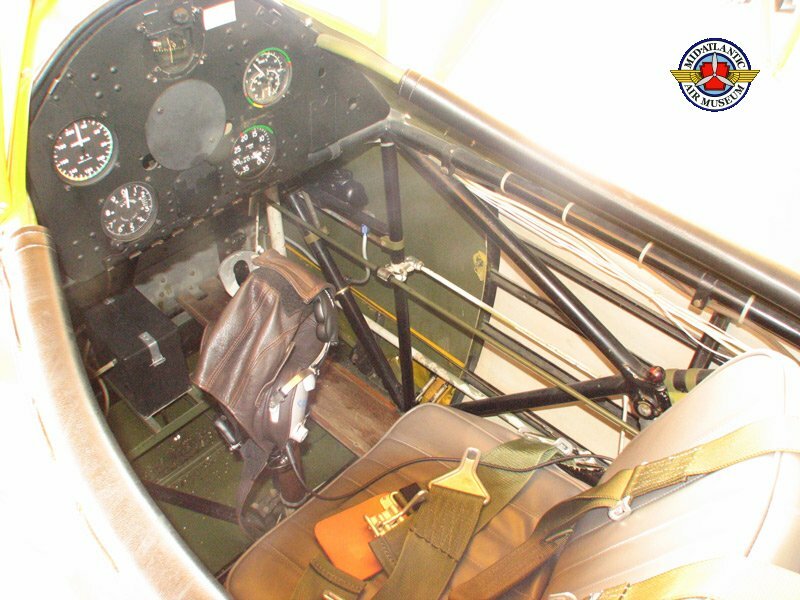 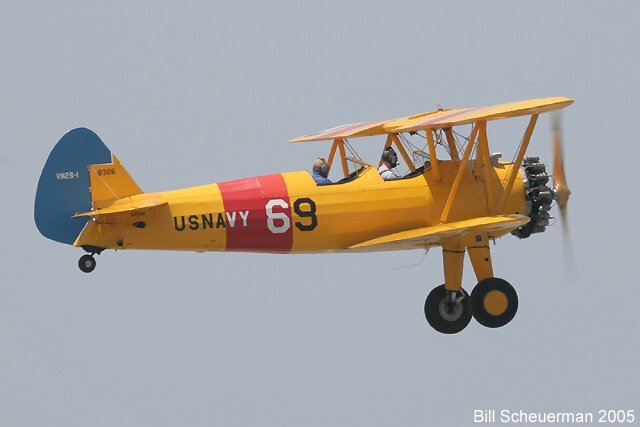 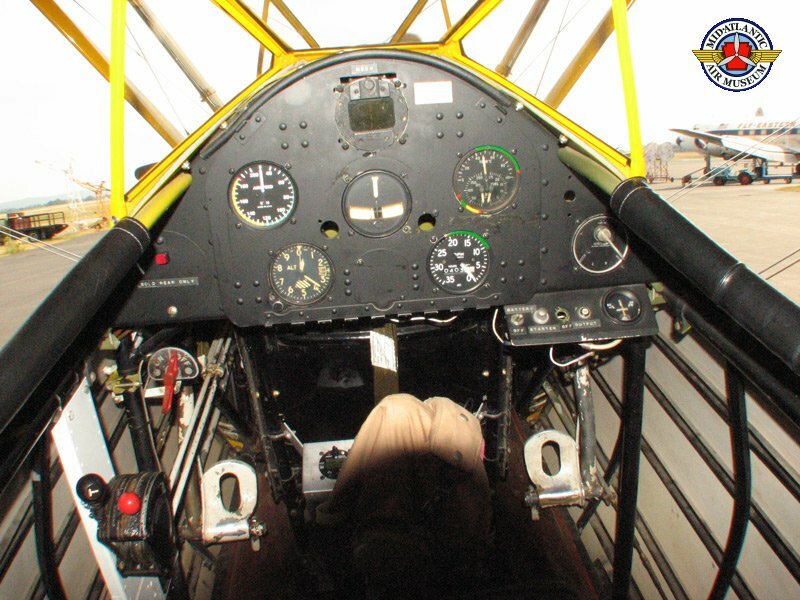 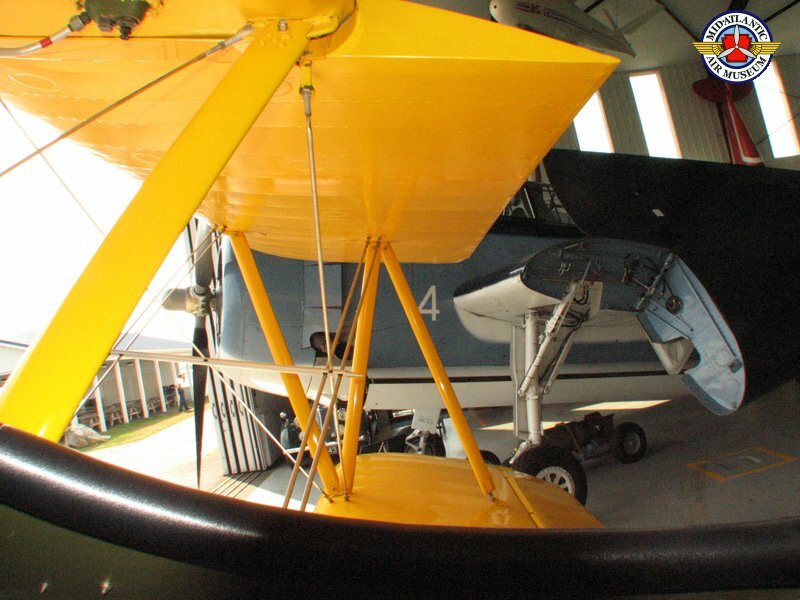 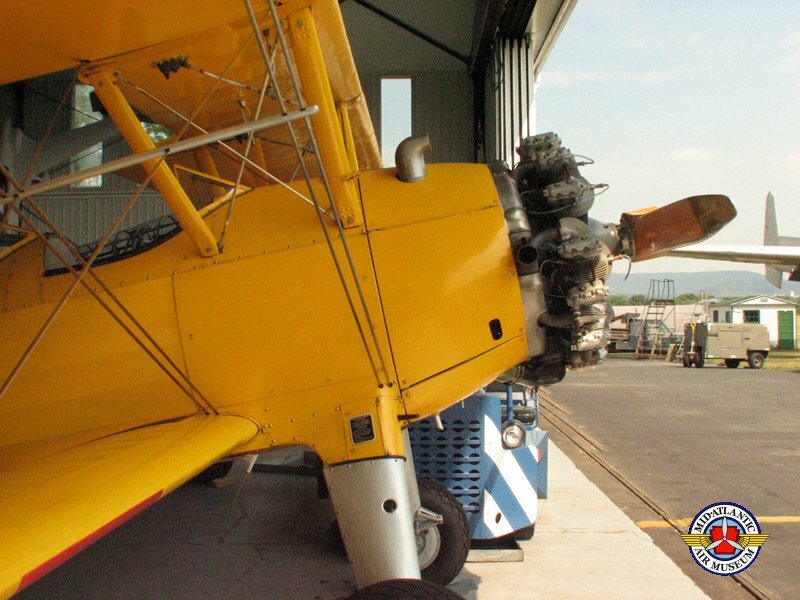 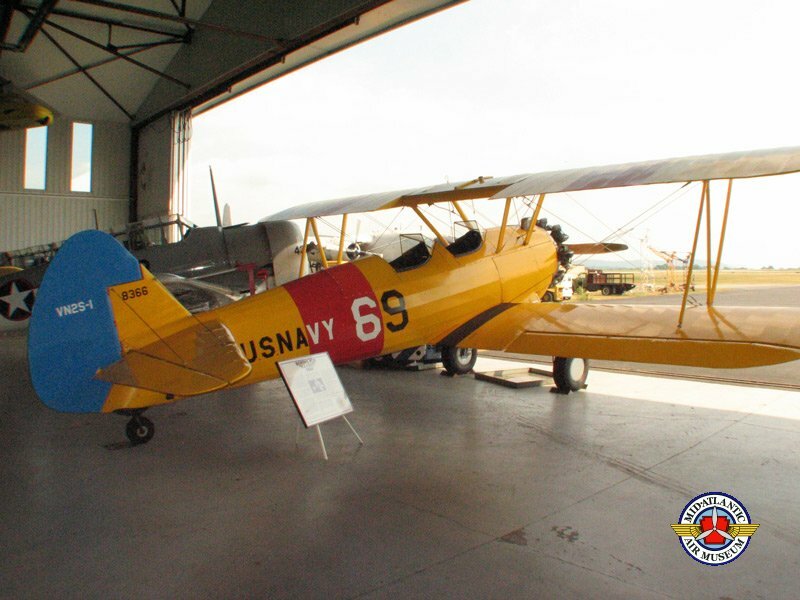 You can take a thrilling flight in our beautifully restored Stearman N2S-1/PT-17 "Kaydet" during Airplane Ride Weekends at the Mid-Atlantic Air Museum or during our annual World War II Weekend. 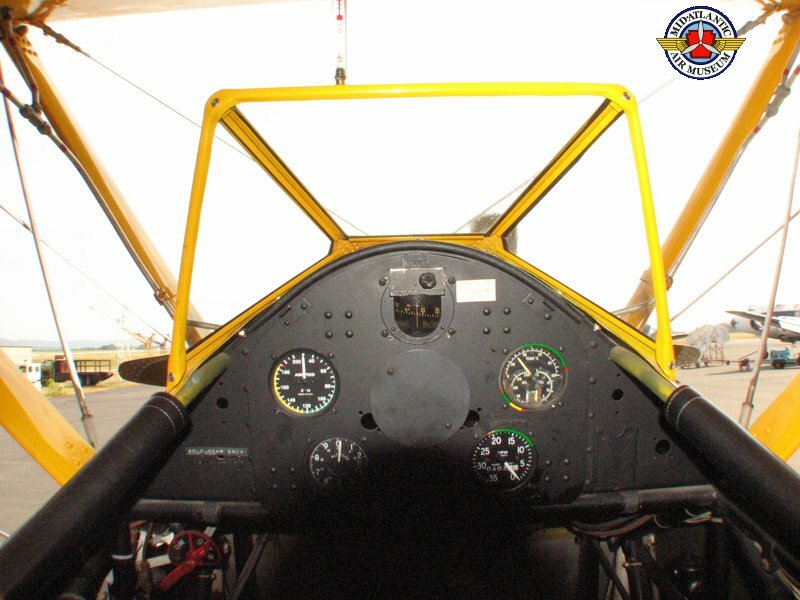 Push the button at the bottom of this page for more information. 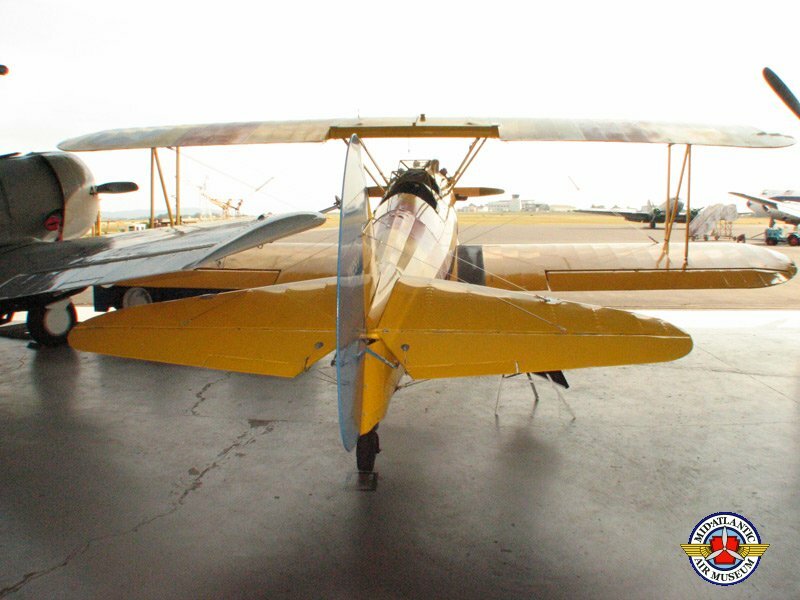 Maximum Takeoff Weight: 2,717 lbs.